I represent “FreshForex” company and will be pleased to answer all questions of your interest. A few words about our company. “FreshForex” company started its operation on the foreign exchange market in 2004 and today it is one of leading players on the Forex market in Russia and Commonwealth of Independent States (CIS). According to “Interfax”, one of the most famous research agencies in CIS, in 2012 year the company took place among Top-10 leading brokers of the Forex Market in Russia. Bright “FreshForex” brand continues its fast growth, winning over international market and gaining new supporters in World traders' community. There are good reasons for that: excellent trading terms, withdrawal of funds in a matter of minutes and the best possible openness of company to every client. Instant market execution from 0.1 sec. Double benefit - Up to 20% of interest per annum for both free and margin funds. More details about our company you can learn on our official web-site freshforex.com. Get $30 for an article about Forex! We remind you that our company provides "Bonus for the article" promotion. Do you have experience in the Forex market? Do you want to share your knowledge with other traders? We invite you to become one of authors of the educational project "CleverFX" Forex Encyclopedia. To take part in the promotion, send us your unique article about foreign exchange market, wait for its publication and get $30 to your trading account in the company. "CleverFX" is an unique educational project of "Freshforex" company, which so far includes several hundred articles about foreign exchange market. The project is created exceptionally by traders and for traders. Let’s write Forex history together! Prior to taking part in the promotion, please read its terms. How clients of “FreshForex” company traded in November? November has come to an end, which means that it is the right time to familiarize with trading results achieved by “Freshforex” and underline the most significant events of the last autumn month. November was eventful in the Forex market . European Central Bank reduced the interest rate by 0.25% and acted as a main news maker. Eurozone was threatened by deflation and the regulator decided to make serious steps in its monetary policy. Further to the decision about interest rate, there were rumors on the market about possible introduction of negative rates in the Eurozone. All these factors put pressure on the EUR/USD pair quotation and a flat trend had been witnessed over a month. British currency, in contrast, markedly increased in weight against its U.S. rival. Positive releases on British economy allowed to install a fresh 2-year high of GBP/USD quotation. Japanese currency continued to weaken against U.S. dollar in November. Inflation in the country of the rising sun is gradually growing and the Bank of Japan said that it will continue to hold a large-scale stimulative policy in the same volume. Percentage of profitable trades exceeded percentage of loss-making trades and amounted to 64.9%. Amounted to 1060% of deposit. The most active client conducted 1376 trades. We remind that you can find the most important figures regarding company's operation in «Facts and Figures» section of our web-site. Monthly chart: the pair is approaching upper Bollinger Band (1.3860), which will be quite able to send the pair to get corrected the area 1.3354. If bulls show strength and will break 1.3860, then the point 1.4260 will become an alternative verdict (marked by red arrow). Weekly chart: a local support by Bollinger medium band is seen (1.3421). Thus, we either will face rollback to this line from 1.3860 and further growth, or break through 1.3860 to 1.4260 without rollback. The last week was the first trading week of the new month and thus had been very eventful. European currency managed to consolidate strongly against its US associate. EuCB meeting was conducted on December, 5th. As it was expected, European regulator remained discount and deposit rates without changes. Over the last days, there were rumors that negative rates would be introduced in Euro zone and the market received refutation of this information. On this background, a confident growth of Eur/Usd quote has been witnessed, though provisional GDP for the 3rd quarter received good data. 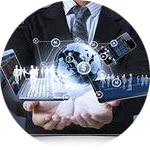 Friday's report on labor market sprang a surprise for market's participants, in particular, it was growth of Non-Farm payrolls index to the point of 203 000. Though European currency reacted this only in the form of technical correction, upon which growth of quotation continued. Also, a notable upsurge took place on leading stock exchanges of the world. To conclude, US positive data was not able to persuade investors that FRS would decide about cutting of QE3 on its nearest meeting on December, 17-18. British currency had been descending during entire week. Positive data on construction and manufacture PMI did not encourage bulls to storm new hills. Whereas release of PMI for service sector disappointed investors having demonstrated its low for the last 5 months. Also, its rate was pressed by Eur/Gbp growth – this cross-rate consolidated a lot. BoE meeting was held on Thursday, 5th, and it was decided to remain current monetary policy unchanged. Usd/Jpy had been experiencing correction over the most part of the week, after which it had reached a fresh 6-month's high. Positive data on the US labor market contributed to growth of the US currency. Usd/Jpy pair closed trading week on the point of 102.88. 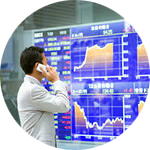 The futures on stock index Nikkei 225 also showed a confident growth further to three days of correction. Correlation between those two pairs is still very strong. “New Year Money Bag” from “FreshForex” company! We are happy to let you know that Freshforex company opens a season of Pre-New Year trading! “New Year Money Bag” is a big drawing that Fresh Frost magician prepared for you. Trade actively for whole December and get one of three tickets to enroll money prize drawing held by “FreshForex”: 25 prizes for 300$, 5 prizes for 1500$ and one main prize – 15 000$! Total prize pool of the promotion amounts to 30 000$! Prize amount and value of the ticket depend only on your trading activity. Everybody will have the chance to win money prize – more than 30 traders will be the winners! Take part in the “New Year Money Bag” promotion and get your happy ticket in the big drawing by “FreshForex”! Right now you can learn detailed terms of the promo on the-company's web-site. “FreshForex” company wishes you a happy coming New Year holiday! Monthly chart: Area of 1.3859 will be repeatedly tested (upper Bollinger Band), further to which bulls either start attacking 1.4260 or will roll to the medium band (1.3121, marked by red arrow). Weekly chart: here, 1.4260 level seems like a verdict. The question is only in the direction of movement – whether it will be direct or through rollback to the medium band. So far, a more located support – in this case 1.3442 – does not allow to rely upon a deep movement to 1.3121. Daily chart: an even closer level of potential demand is 1.3601. Most likely that 1.3859 will be broken exactly after touching this very area. 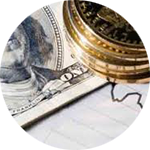 The past week on the Forex market was not very notable in terms of macroeconomic statistics. According to the week's results, united European currency managed to consolidate its positions a little, despite weak European stats. Industrial output decreased by 1.1% over the month, which is the lowest value from October, 2012 and indicates problems of the European manufacturing. On Thursday, 12th, in the US report on retails was published. The volume of retail grew by 0.7% which says about good paces of growth, because consumer expenses play a very important role in the US GDP. Though USD consolidation against its main competitor was moderate and trading week was closed by it on the point of 1.3741. In the beginning of the past week, GBP/USD quatations have been moderately growing. On Monday 9, BoE Governor Mark Carney stated that British economy allows optimistic estimations and now it is difficult to find the reason of deteriorating of a potential upsurge in the economy. Such positive comments encouraged British currency to set a fresh year high at the point of 1.6464. However the fuel for growth expired at this point and bears entered the game. British economy provided a mixed news background: manufacture grew for 0.4%, whereas visible trade balance sheet was rather worse than the medium line of forecasts. Strong retails stats from the USA poured oil on the fire as well as the positive dynamics of Eur/Gbp. Trading week was closed by Gbp/Usd pair below 63 figure, at the point of 1.6295. Japan provided negative macroeconomic stats. Total GDP estimation for the 3rd quarter showed reduce by 0.5%. Also it is necessary to underline weak data on business index for big manufacturers BSI, which demonstrated drop in 5.5 points against the previous quarter. In case of further deterioration, one can expect additional softening of monetary policy by Japan that will instigate one more wave of Usd/Jpy growth. Further to publication of a strong report on the US retail, USD/JPY quotes went up and established a fresh year high at the point of 103.91. After that, bulls decided to fix profit and trading week was closed by the pair at the point of 103.24. Please be informed about changes in the work schedule of "FreshForex" company's during the holidays. •	04.12.2013 (Tuesday) - early closing of trade at 8:00 p.m. EET *. •	25.12.2013 (Wednesday) - trade is closed. •	26.12.2013 (Thursday) - trade starts at 01:00 EET. CFD on futures - trade is closed. •	01.01.2014 (Wednesday) - trade is closed. •	02.01.2014 (Thursday) - the beginning of trading at 01:00 a.m. EET. CFD on futures - opening at 2:00 EET p.m.
* EET - Eastern European Time corresponding to GMT +2 in winter and GMT +3 in summer (time of the company's trading company server). We remind you that due to low liquidity and high volatility of the market during the holidays, opening of positions incurs an increased risk, so please keep your margin above 200% and protect your positions with Stop orders. Also, from 24 December 2013 to 3 January 2014, the company's trading conditions may be altered according to regulatory documents of the company (increase of spread, increase of order setting levels, restrictions for trading with certain instruments etc.). December 31, a short working day - 3:00 a.m. to 10:00 a.m. GMT. 1, 2, 4, 5, 7 of January are the weekends. 3 and 6 of January are short working days - from 8:00 a.m. to 12:00 noon GMT. Please note that from 1 through 8 of January 2014, money transfer can only be made by electronic payment system. From January 8, the company will work in a regular mode. If you have a question, please contact Customer Support Service or your personal manager. «Freshforex» company wishes you Happy New Year and Merry Cristmas! May joy and success attend you in the New Year! The past week on the Forex market was very interesting in terms of events. On Wednesday's evening, Fed Reserve declared about start of seizure of QE3 stimulative program. Chief of the US regulator Ben Bernanke stated on the press-conference that indices of the labor market and GDP are rather optimistic, whereas inflation is scarcely amendable to control, FRS will closely watch this figure. It was also stated that on its next meeting in Jan 2014 the Federal Open Money Committee will consider the issue about tapering of its buying program. This step taken by FRS was reflected by major currency pairs by moving into both sides, further to which US currency consolidated. Leading stock exchanges responded to this statement by growth of their quotations. This rally encourages bulls a lot when it came to Usd/Jpy pair and a new year high was reached. British stats continues to encourage investors. This time market participants received a positive report on unemployment level, which reduced by 0.2% down to the level of 7.4%. In contrast to euro, the pound finished the week with a slight growth. On the last trading day of the past week, Japanese CB's meeting took place. As it was expected by market participants, the volume of bond buying remained as it used to be. Regulator declared that it is ready to adjust its monetary policy whenever necessary. And one can expect that this necessity can arise in 2014, which will lead to further weakening of the Japanese currency. Enter New Year with a reliable protection of deposit! December 31 is not only the last date of the year, but also of the “Insurance against Stop Out” promo. However, Fresh Frost has prepared one more gift for traders! By numerous requests of clients as well as in the honor of coming New Year, Fresh Frost extends a popular promotion till March 31 of 2014 year! “Insurance against Stop Out” is a reliable protection of your deposit against failing trades. Just switch your account to the promo and get up to 100% from replenishment amount on the event of Stop Out. You may always consult our support service about any question either contact your personal manager. Please study terms of the promotion. Wish you Happy coming New year and successful trading! Marathon of promotions from FreshForex goes on! "FreshForex" continues marathon of its promotions! This time company is glad to encourage its clients with extending its unique bonus program "33 x 3" till March 31 of 2014 year! 33% to bonus amount you can withdraw. Wish you great volumes and safe curves on the road of trading in the New Year! We wish you a happy New Year and are glad to inform you that the big money prize in the amount of 30 000$ was recently won by client of “FreshForex” company. According to the results of the “New Year Money bag” promotion, 31 participants from 7 countries received New Year prizes. Main prize - 30 000$ - was gained by holder of trading account from the capital of Russia. Other 24 clients became the winners of prizes in the amount of 1500$ and 300$. Follow news of the company to take part in our lucrative contests and win real money! We wish a happy New Year to all members and guests of the Forum! May success in this new year will attend you in all your initiatives. Wish you and your loved ones good luck, happiness, joy, strength and excellent mood. May all your dreams come true! Monthly chart: ADX is close to the point "30", wherein a main trend potential of price movement starts to be manifested. Thus, taking into account a new high reached by bulls, we assume that on completion of a descending swing, Euro uptrend will go on with the same target as earlier at 1.4260. Weekly chart: closeness of two supportive points 1.3508 and 1.3298. One of them is supposed to provide a strong demand in European currency. Any break of uptrend can only be considered below 1.3107. Daily chart: here we see a well-formed Over&Under, thus, a main plan would be a deep rollback to 1.3298. Entrance area into sales on this setup is 1.38. How clients of “FreshForex” company traded in December? We suggest you to learn about basic figures of December trading in "FreshForex" . Of course, the main event of December was the Federal Reserve's decision on start of tapering U.S. QUE3 program. The U.S. regulator said that the US economic indicators are optimistic and now it is the right time to start minimizing stimulativemeasures. This background allowed USD to regain some positions lost as compared to its European rival. But after Christmas all positions were lost - on the "thin market" bulls actively bought EUR/USD and reached a fresh year high. British currency continued to bring surprises to investors in December. Positive labor market report showed reduction of the unemployment level to 7.4% and encouraged investors to open new long positions. The UK economy continues to a confident recover and we can expect that the UK will be the first developed economy in the world, which will decide to raise discount rate2008 after the financial crisis. Positive news background pushed GBP/USD up and the British pound is very close now to its maximum for the last 3 years. Do not fall behind their colleagues and USD JPY, which also install a fresh yearly high in December. Japan released good reports on inflation and retail, but YEN consolidation has not followed it. Its growth is constrained by the incentive program of the BoJ. Percentage of profitable trades exceeded percentage of loss-making trades and amounted to 68%. Amounted to 3455% of deposit. The most active client conducted 16822 trades. We remind that you can find the most important figures regarding company's operation in “Facts and figures” section of our web-site. Swings of the Forex market are still in motion! The past week on the currency market was very eventful. According to its results, US dollar lost the part of its positions as compared to its main rivals. The last meeting of EuCB did not bring surprises. Monetary policy remained on the same level, regulator stated that it is still concerned with low inflation, but will not take any measures as of now. On Friday the report on US labor market was released. Non-Farm payroll release is very controversial. Despite strong figures from ADP as well as the service index of employment from ISM, final Non-Farm was released on the point of 74 000 having demonstrated the least value for the last 2,5 years. Nevertheless, totalunemployment level is reduced by 0.3 down to the level of 6.7%. Trade week was finished by Usd/Eur by growth up to the point of 1.3668. Great Britain reported negative macroeconomic stats. Service PMI frustrated investors having shows the least values for the last 6 years. Also, trade balance and manufacture data was negative. Further to releases, GBP/USD quotations went down, but investors promptly re-bought this decline which says about strength of ascending trend. In general, a steady growth of GBP/USD pair had been witnessed over the week. Full attention of investors was focused on the US data. Recordings of the last FRS meeting did not bring serious changes in “bulls” and “bears” alignment. American regulator stated that it expects a gradual tapering of stimulative measures and decisions will be made based in the view of situation with the labor market and inflation. On the last trading day labor market release was published n the USA. Unemployment level got down, but Non-Farm Payrolls data poured oil into the fire. Quotations managed to grow up to the point of 105.32 and fell by 150 points then. So, trading week was closed by USD/JPY just above 104. 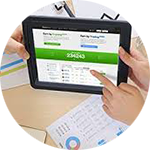 Increased attention and special care of each our client has always been a main advantage of “FreshForex” support service. We value the time of our clients and have launched on-line chat of client support service for a prompt settlement of clients' issues. Now it is even easier to contact our support service! To proceed with on-line chat, click the button in the upper right corner of the web-site. Winners of the "New Year Money Bag" drawing shared the secret of success! At New Year's eve, "FreshForex" company held a great holiday drawing of money prizes - "New Year Money Bag ". We remind that winners were chosen among all «FreshForex» clients online on the company’s website. By the results of drawing, 31 lucky traders were awarded with prizes in the range of 300 - 30 000$. Winners kindly agreed to answer a few questions of us, and now we have a unique opportunity to read the most interesting moments of the interview, learn their experience, and, perhaps, even the secret of victory on the Forex! "I did not believe that my account will win, though I hoped. To tell the truth, I am not very lucky in my life. I've been working not for long on the forex market, but have still been in plus. And the biggest success is my prize. I wish everybody to try and not be afraid to take risk. " "Thank you for the promotion! I learned from "Vkontakte" social network about my victory, as I had been always monitoring it, but not often commenting on it. I recommend to participate in promotions to everyone working on the Forex market. It is a great chance to begin trading, almost without having to invest . I’m interested in new promo with Kaspersky too - my antivirus just got expired, so I plan to join it. " "I want to share the joy of my winning in the "New Year Money Bag " drawing! I have been trading in the Forex not for the first year and set to trade with your company from June 2013. I would like to note about friendliness and professionalism of Customer support service. I like promotions held by the company as well as response speed of orders and quickness of withdrawal." "I have very positive feelings of participation in this promotion! It is very nice to work with the company that cares about its clients. I began to trade a few years ago, but I have been cooperating with "FreshForex" recently for just over a month. I can give a good recommendation to beginners: never risk more than with 3% of capital per day. " "I want to thank you for the opportunity to work in the Forex market. Of course, I have joyful and pleasant feelings, and not only because of the victory, but because company's work with clients is impeccable. I consider that «FreshForex» created all conditions for effective work. " "Honestly, I did not even know that I participated in this promotion, so the prize was unexpected. It was a real Christmas gift, and "FreshForex" played a Santa Claus role. I began working with Freshforex about 6 months ago. I like rapid withdrawal as well as "Spreads in half" promo. Since I'm a beginner, I can say only one thing to other beginners - to succeed, you need to trade and gain experience." We thank all who took part in the drawing or who was just an observer. We wish you a good luck. Believe in yourself and don't forget to participate in our promotions. Maybe next time will be lucky for you! We are glad to inform you that deposit and withdrawal through “Skrill” payment system is now available to all “FreshForex” traders. “Skrill” allows to conduct finance operations via the web without revealing card and bank details. That is precisely why using “Skrill” is not only comfortable, but is also safe. 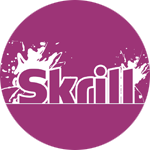 The account in “Skrill” can be easily replenished with bank card. To be able to add and withdraw your funds with the help of “Skrill” system in “FreshForex” company, it is enough to verify your personal data in the Personal area. Replenishment through “Skrill” system is free of charge. When you withdraw funds from your trading account, "Skrill" commission is charged in the rate of 1% from withdrawal amount but not more than 10 EUR. The system works in US dollars. Conversion into currency of deposit is made under the company's internal rate by the moment of transfer. If your Skrill account is opened in the currency different from USD, conversion of Skrill account currency into USD is conducted under the rate of Skrill system. Check company's web-site to find details about other methods of deposit and withdrawal. Monthly chart: here is an active rolldown while ADX is calm. It increases strength of a possible support for 1.3106 (Bollinger's medium band) and the probability of bullish scenario. Weekly chart: test level is 1.3267 (bottom band). If buyers do not take active steps from there (and will get the price below specified price), their mid-range strategies will lose. Day chart: bearish wave is developing here. Bounce from 1.3267 is a more important task for bulls than enhancement of descending front down to 1.3105. Conclusion: main plan is to touch 1.3267 and start of euro growth in the direction of 1.3850. Another option is to break support 1.3267 and even a deeper descend to 1.3105. How exactly is ECB going to tackle inflation? The last trading week of January was marked by consolidation of US dollar against the most part of its competitors. Core event of the week was Fed's meeting where FOMC members unanimously voted for continuation of QE-3 tapering. Besides, Ben Bernanke for whom it was the last chaired meeting stated that the economy will moderately grow and the recovery of labor market is expected to continue as well. Tapering of stimulative measures is negative for all risk assets. On Friday 31, European preliminary inflation data was released. CPI was below expectations and is based on the level of 0.7% signifying that threat of deflation for the European economy is still vital. EUR/USD has been under pressure over the entire week and closed trades at the point of 1.3486. Great Britain published GDP for the 4rd quarter of the previous year. The index is 0.7% and such value met expectations of market players. While speaking on Jan 29, BoE governor Mark Carney confirmed the regulator's unwillingness to raise interest rate within the nearest time, even if unemployment reaches target level. FOMC's decision to cut stimulative measures for 10 bln USD from Feb 1 was negative for British currency. Following to Fed's meeting, pressure on GBP/USD grew and trading week was closed on the level of 1.6438. According to the last week's results, Japanese yen showed a symbolic growth in 0.2%. Positive stats on retails and inflation in Japan supported yen's quotations. Decline of Nikkei 225 stock index futures also played in bulls' hand. Nevertheless, we did not witness a significant consolidation of Japanese currency. A long-term ascending trend for USD/JPY is still in effect and one can see investors opening long positions after each strong decline. Trading week finished just above 102, on the point of102.02. The first month of 2014 year had come to the end, so it's time to summarize trading results and underline the most important events of January. The U.S. Fed continued to taper stimulatibg program QE-3 and this fact had a negative influence on EUR/USD pair. CPI report for Europe published at the end of the month showed a decrease down to 0.7%, this way indicating the threat of deflation. Because of these negative factors, EUR/USD pair remained under pressure and finished the month at the point of 1.3486. Over January British currency moderately had been decreasing against its US rival. The unemployment rate declined down to 7.1%, which encouarged "bulls" to open long positions. The situation changed after the announcement of the British regulator that there is no need to raise interest rates since unemployment rate had reached target level of 7%. Investors took this information negatively, and during remaining time of the month price had been going down. Having lost 0.85%, month's trading finished at the point of 1.6438. In the first month of the year it was a decrease in quotations of USD/JPY. There was a meeting of the Bank of Japan on January 22. No change in monetary policy was declared and it disappointed "bulls" trading with this pair. Investors' leave from risky assets led to a decline on leading global stock exchanges, which was also a negative factor for growth of the pair USD/JPY. At the end of a month Japanese yen added 3.2% and finished trading at 102.02. •	25,034 trades per month. More than 1000 trades per day was made by a trader with the help of high frequency EA. •	$122,260 is the best result of January and a record amount for the company. In January especially during the Christmas holidays most traders trade reluctantly, as there is a lack of liquidity on market and the time when Central Banks only approve plans for the year. But there are those who can avail from market's uncertainty and demonstrate such results. Since the last week was the first week of the month, it was traditionally eventful. According to its results, EUR/USD pair consolidated for 1.1% as ECB governor was positive in his comments and labor market report in the USA was weak. Mario Drahgi continues to surprise market with his optimism. On Thursday 6, while speaking in the ECB meeting, he stated that deflation does not threat Europe now and there is no sense to apply measures to cope with it now. Investors were encouraged by this statement and EUR/USD went above 36. On the last trading day of the week, release on the US labor market was published. January growth of Non-Farm payrolls was 113 000, which is rather below the figure of consensus-forecast. For the second month in a row, US employers are at an easy pace when it comes to hiring. This is an alarm bell for the US economy and served a background for growth of the European currency. Week's trades were closed at the point of 1.3634. In the fight of bulls and bears on GBP/USD pair there is no winner. Over the past week, Markit Economics research center had been releasing PMI for manufacture and construction as well as for the service sector. Amongst all, only construction report was a good surprise for investors wherease two other were below expectations. This negative background encouraged bears who forced quotations down to 1.6251. Bulls also paid back in their own coin and got out the most of the weak US Non-Farm payrolls report by raising quotations above 64. Nevertheless, in the end of the week GBP/USD lost its symbolical 0.1% and finished at 1.6407. Japanese Yen followed its upsurge in January and early February by retreat. Only the first trading day of the week was marked by its consolidation against its US rival as sales on leading global stock exchanges was going on. On Wednesday 5, the report on change in salary for December was published. The figure was above consensus-forecast which supported demand in Japanese currency in the first half of a day. Salary growth will provoke increase of expenses in the future and thus enhancement of inflation. On this background, USD/JPY dropped down to 100.77, but bears were not strong enough to get more. Then bulls joined the game who were not discouraged by weak report on the US Non-Farm payrolls in January. Having added 0.3% for the weak, trades were closed at the point of 102.35. Monthly chart: so, a strong rolling swing upwards is completed, its pike is bearish pinbar. It is a very strong Southern determination and, besides, it is correct in technical point of view. Therefore, a major middle-term expectation is start of decline down to 0.84 (the bottom Bollinger band). The point where such expectations may break is the breakthrough above the middle Bollinger band (0.9625). Weekly chart: here we see development of reversal following to bullish convergence. Key resistance point is 0.9625. Here growth scenario is the main point (marked by blue arrow), but the situation on the monthly chart tells us that start of a new downward wave (red arrow) is equally probable. The middle Bollinger band (0.9059) performs as the key supportive point. Day chart: a strong pinbar from the supportive bottom Bollinger band (0.9208) is seen here, which is a very good sign for purchases. Another option is the break under the bottom, break of pinbar and decline. Conclusion: main scenario is growth from 0.9208 to the area 0.9625 Another option is getting under 0.92 and decline to 0.8650. We are glad to tell you that from now on, for funding account via Payonline system you may use not only Visa, butMasterCard or Maestro as well. Avail from a reliable protection of the personal data and fund account without any commission! Payonline payment system is one of the simplest and most secure methods for making payment by bank cards. International data security standard PCI DSS perfectly protects personal information from fraudulent use. Let us remind you that all clients with confirmed personal data can fund trading accounts with the help of Payonline. You may fund the manual on depositing via this method in “Trading terms – Deposit and withdrawal” section of our website. Traders of "FreshForex" company never stop to surprise us with their successful cases on currency market. Today we are going to tell you about the results of their trading in April. But before we do that, let's make our regular analysis of latest economical events of the past month. Weak macroeconomic statistics was the background for EUR/USD pair's growth by 0.7% as for the end of the month. USA GDP report for the 1st quarter disappointed investors – for the first three months the leading world economy grew up by only 0.1%, that is significantly worse than consensus forecast. A strong decline in the winter months also affected its economic growth. GBP/USD currency pair demonstrated growth by adding 1.25% in weight. Despite compression of the inflationary pressure, investors still remain optimistic about British currency and open long positions on pullbacks. Growth of employment rates in the UK in February dispelled all doubts of bulls: unemployment fell down to 6.9%, exceeding expectations of market participants. USD/JPY pair had been remaining under pressure during the second spring month. Sales in Japanese stock market did not contribute to growth of quotations as conflict in Ukraine was escalating. By the end of April, the US dollar/Yen pair fell down by 0.95% and closed trading at around 102.23. •	3 557.99% — the point that was reached by our most successful client. It is worth noting that he traded with EUR/USD pair and did not use EA. •	3,741 – number of trades made by the most active trader. He was trading "manually" and attained 31.30% growth of his deposit. 54.55% of clients closed April at a plus - this is the percentage of traders with the deposits of $10,000 and above. •	Total percentage of profitable trades is 72%. •	$79,150 is the result of the most profitable trader. Masters of the "Flаgmаn invest " PAMM-platform also demonstrated excellent trade in the past month. By investing $1,000 in Goldman Master account, you would earn $624 in April. To assess results of other traders, visit the “Top of Masters”. "FreshForex" company congratulates you with the Victory Day! This day remains both shining and mournful day for tens of millions people around the world. We will always honor those who died protecting peace. Those people sacrificed their lives for the sake of our rosy future. Let the memory of their deed stays in our hearts forever. With all our heart we wish that peace and well-being were in your homes! 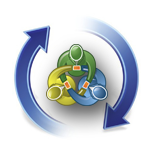 MetaTrader 4 build 646 - even more possibilities! We are glad to inform you that soon MetaTrader 4 platform will be upgraded to 646 build. Update of the demo server is scheduled for May 13, and update of the real one is held on May 14. What changes should be expected by users? Use the top panel to browse through search results in the documents, the library of source codes, MQL5 community forum and the MetaTrader Appstore. When you start typing a word in the search field, smart system displays a list of the most appropriate options. To search through the history of requests, you should put your mouse in the type bar and press the "down arrow". The search result will show to users not only text, but also avatars of books, articles and programs. It greatly simplifies the search process. Send emails from “Alerts” and MQL4 programs to the most popular email servers: Gmail, Hotmail, Yahoo. You can set email address for receiving messages in the terminal settings in the "Mail" preferences. Besides, developers have fixed authorization error in the mobile terminals occuring as troubles communication took place. Management of stop-loss and take-profit levels was improved as well. You can learn more about this and other innovations on the official MQL4 forum. In the absence of publication of important macroeconomic statistics from the Eurozone - in the first half of the day the euro/dollar pair will experience consolidation near 37 figures. "Bulls" and "Bears" take a break before the GDP euro area report in the first quarter which is scheduled for today. PPI index is an early signal of changes in inflation trends but only just strong deviations from the median of forecasts can cause severe market reaction to this event. 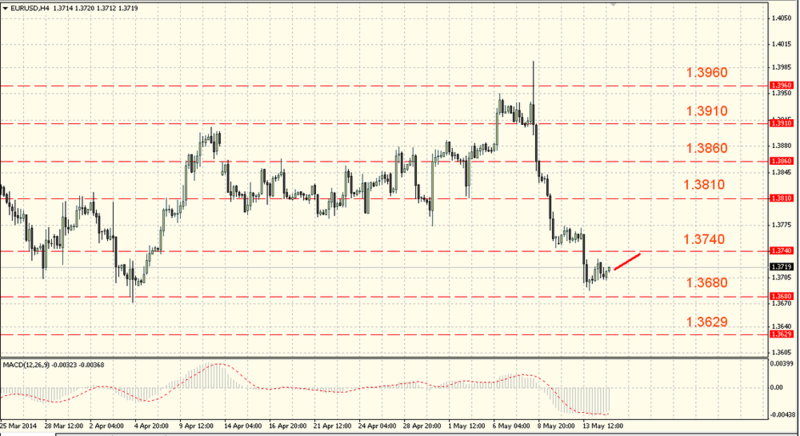 The support levels are 1.3660- 1.3680, and the resistance levels are 1.3740 - 1.3760. MACD is pointing down, indicating the current downtrend movement rates. 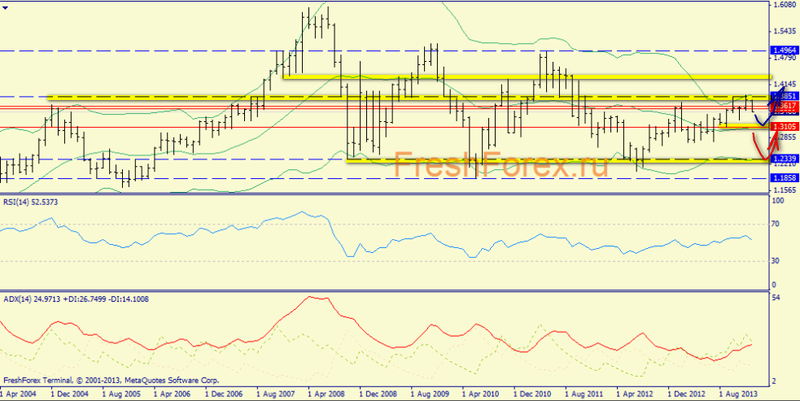 EUR/USD continued to decline and broke through the support at 1.3720, having tested the level 1.3689. As we approach the low at 1.3672 reached in early April "bearish" pressure slightly weaker. Therefore, despite the deteriorating prospects for the pair, "bulls" may regain control of the situation at the current levels, however, attempts to grow at this stage should be seen as an opportunity to open short positions at a better rate. We are glad to inform you that a new Forex trading instrument - USD/CNH (Chinese Yuan) is now available for "FreshForex" traders. 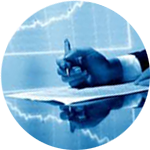 Right choice of a highly liquid trading instrument is one of successful trading factors. USD/CNH perfectly suits this criteria as Chinese currency is considered to be a rather strong one. 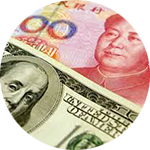 Moreover, Yuan can become one of the world reserve currencies very soon, which will also increase volatility of the pair. 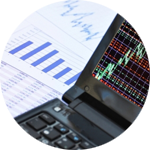 This trading instrument will also be useful to those traders who want to minimize their risks. Add Yuan to your diversification portfolio and be sure your capital will be safe. In the near future a lot of positive innovations are going to be introduced to"FreshForex" clients. Stay tuned! The Monday is a bank holiday in the USA and the UK. The market activity can be low. We expect some important economic data this week, mainly we expect the U.S. gross domestic product release. The Eurozone will publish the European Commission confidence indexes on Wednesday. The ECB President Mario Draghi will speak at the ECB forum in Portugal on Monday and Tuesday. The experts forecast the data worse than the previous ones this week that could trigger a wave of dollar selling. If the forecast is proved it may lead to the pair correctional growth to the strong resistance level 1.3732. The support levels are 1.3570-1.3590, and the resistance levels are 1.3620 - 1.3650. MACD is in negative territory. We see a classical formed a bearish divergence that can support the pair growth from the beginning of the trading week. We can close out deals at the resistance level 1.3691. The stop-loss can be placed at the resistance level 1.3732. Push-notifications — your assistant in trading! Do you work with MetaTrader mobile terminal? Turn on Push-notifications and stay informed about all market events! Once you activate this type of notifications, you'll start receiving the alerts you are subscribed to and EA alerts. Unlike SMS, Push-notifications are absolutely free. You are not tied to phone number or a certain operator, all you need is just Internet connection. Also you don't need to run third-party applications. To switch Push-notifications, it is enough to specify MetaQuotes ID in settings of client terminal profile and enable the option of sending notifications in the interface. The number of unread messages will be shown on the mobile terminal ikon. As of today, more than 200 000 users requested for MetaQuotes ID, allowing to receive Push-messages from client terminal. Use modern and safe mode of receiving information and be in trend! The euro was steady against the dollar on Friday as disappointing data on consumer sentiment in the U.S. boosted demand for the dollar, while the concern about the violence in Iraq continues to exert pressure. The euro gained some support after the data release which showed that industrial production in the region increased by 0.8% in April, exceeding the forecasted increase 0.4%. The March figure was revised down to 0.4% with 0.3% of previously reported. We advise to short with the first target 1.3435. After overcoming this target it will be relevant to sell to the mark 1.3367. Margin requirements are five times less now! Our aspiration is to provide traders with the most comfortable terms for trading with every financial instrument. That's why we reduce margin requirements for CFDs on spot precious metals, oil and stock indices fivefold from 16th of June. Get even more profit with "FreshForex"! How this innovation can help you in trading? Here is an example: margin requirement for 1 ounce of gold (0.01 of lot) or 10 barrels of BRENT oil used to be about $25. Now, to buy the same volume, you only need just about $5*. In its turn, increase of trading volume allows you to get profit which is 5 times larger! You can have a look at the new margin requirements at the "CFD specifications" section. If you have any questions, please contact our support service or your personal manager. *Margin for CFDs is defined based on the leverage of your account. We remind you that you can change the leverage of your account in your Personal area. Copy signals and earn income! We remind you that you can earn money in Forex by copying profit-making trading signals using dedicated MetaTrader 4 service. An automatic copying of trades allows you to get profit even if you have minor market expertise. Top rating positions are for the signals having a law degree of risk and good trust among subscribers. Potentially unprofitable signals are located at the very end of the list. While trying to connect with them, a user can see a warning about possible loss. Subscription to the signal is forbidden if the degree of risk is high. Use statistics data to choose the most suitable signal. A user can assess funds volume on account of provider, ratio of long and short trades, distribution of trades according to used instruments. Prior to connection, trading terms of subscriber and provider are examined according to the following parameters: currency of deposit, leverage, settings of trading instrument . If trading terms do not fit criteria, signal is not displayed on the list or blocked for subscription. Signal providers and service developers do not have an access to the information about users and their accounts. 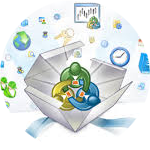 Subscription is made in few clicks without a prior agreement between user and provider. You can choose a suitable signal or to subscribe to it at the official MQL5 website or in the MetaTrader4 terminal. Benefit from an automatic copying of trades to earn income on the market! Exclusive trading terms from "FreshForex"
We are glad to inform you that "FreshForex" has opened "GoldMan" premium club . Become owner of the premium club's card and trade on exclusive terms! Each of these advantages is purposed to make trading with a big deposit more profitable and convenient. Obtain a club's card and evaluate all advantages of luxury trading with "FreshForex"! 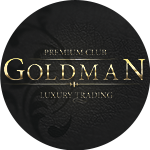 You can learn more information about terms of becoming "GoldMan" premium club's member on the promotion page. Specialists of "FreshForex"support service will be glad to answer your questions. The Bank of England will not raise its interest rate to a level previously considered "normal" for the foreseeable future. This was stated by the regulator Mark Carney. In a BBC interview Carney said that some factors would adversely affect the economy in the coming years. Among them is the high level of household debt. He expects demand for exports UK is likely to remain weak as a result of the economic difficulties of the Eurozone, while the pound is likely to remain strong. The pair is again targeting the last week high of 1.7060, the lowest level in 5.5 years. We expect a break above this level. The break above 1.7060 may send the price to the target levels of 1.7115 and 1.7223, the latter of which is a wave equality target from the "bullish wedge" minimum of 1.6694 in late May. The inability to break above 1.7062 will cause a weakness towards 1.6952, but only within the broader bullish continuation pattern. 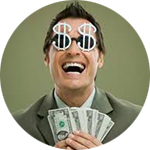 Get bonus up to $3 000! We are glad to inform you that “Bonus 33x3” promo is prolonged till July 31. Fill your trading account and get up to $ 3 000 as bonus! What is the difference between this bonus and the others? Majority of bonuses "work" during successful trading. Our "33x3" bonus supports your account in any situation, even under a huge drawdown! More often traders are only offered a welcome bonus which is added only once. We do not have any limits - you can get this bonus endlessly! 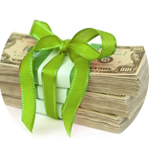 Many bonuses offered by brokers are not available for withdrawal. "FreshForex" breaks stereotypes and offers you a unique bonus with easy terms of withdrawal. You can find even more advantages on the promo page. Get your bonus and trade in profit! “FreshForex” starts "Sale of spreads"! 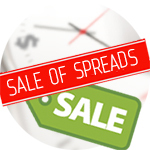 We invite you to take part in our new promotion "Sale of spreads". Every day from 5 pm to 5 am GMT we will reduce spreads by 50% for the most volatile contracts. Use this time to make lucky trades! Nowadays trading with highly volatile contracts on metals, energies and indices allows traders to earn more. From 1 to 12 of July you have a unique chance to start trading with these instruments saving half as much in spreads. Save money and get more profit! You can study detailed terms and the list of contracts on the page of the promotion. Be on time to take part in the promo! 1 996% of deposit - is the earnings of the most profitable trader in June. He applied long-term strategies and had been trading with DAX30 index and XAGUSD silver without EAs' support. 1 327 trades per month - result of the most active trader. Most of his trades were made on his own, but sometimes support of EAs was used. 46% of traders with deposits above $10 000 and more finished June with a plus. For traders with deposit above $1 000 this rate is 38%. $43 588 - the result of the most successful trader. June was also successful for Masters of the "Flagman Invest" PAMM-platform. Marketinvestor Master has achieved the best result - if on June 1 you had invested $1 000 on his account, you could have gain $645 of profit at the end of the month!